Toyota announced in April, 2014 that it would establish a consolidated headquarters in Plano, Texas for its North American operations. Plano is located north of Dallas and has a population of about 300,000. The primary purpose of this move is to position Toyota for long-term, sustainable growth in North America. Take a look at the details of Toyota’s headquarter move and how it could possibly benefit them! Toyota currently has three separate headquarters in North America for corporate operations, manufacturing, and sales and marketing. The headquarters for corporate operations is located in New York, New York, the manufacturing headquarters is in Erlanger, Kentucky, and the sales and marketing headquarters is located in Torrance, California. 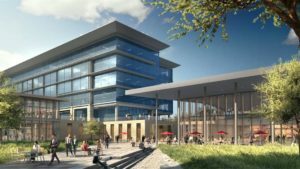 These relocations will take place from 2014 to 2017, with Toyota’s financial operations joining the other operations at the shared campus in Plano after 2017. The move will affect a total of about 4,000 employees, including 2,000 from sales and marketing, 1,000 from manufacturing and 1,000 from corporate and financial operations. Toyota began relocating these employees in small groups during the summer of 2014, although the majority will move until construction of the new campus has been completed in late 2016 or early 2017. The campus will be located at Headquarters Drive, south of Highway 121 in North Plano. Toyota broke ground on the new location in January, 2015 with A Toyota Tundra pickup truck built in Texas. The ceremony was attended by North America CEO Jim Lentz, the mayor of Plano and his staff, the Plano City Council and the Toyota employees who have already relocated to Plano. Lentz, who has been the CEO of Toyota’s North American operations since 2013, stated at the groundbreaking ceremony that he hopes to retain most of his staff for the relocation. He added that the consolidation of Toyota’s North American operations into one location would allow executives to make decisions more quickly and share best practices more efficiently. He also said that Toyota would be able to leverage its existing employees more effectively, increasing the focus on customer service and making great products. The new headquarters builds upon Toyota’s previous efforts to increase the autonomy of its North American operations, including greater responsibility and self-reliance. 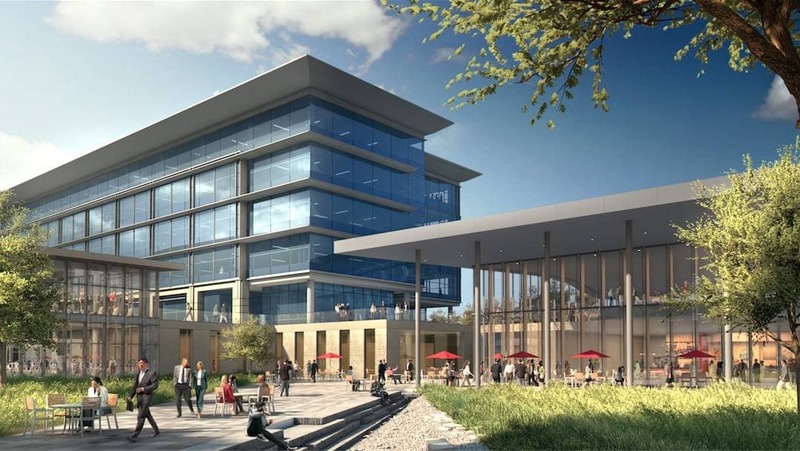 The operations at the Plano campus are also expected to create cross-functional teams that will develop strategies for serving the North American market more effectively. However, the individual operations will still retain their own names and responsibilities. Lentz closed his statements by saying that the relocation would place Toyota’s major North American operations in the same location for the first time in the company’s history. He also indicated that it would be most significant change for Toyota in North America in the past 50 years. The placement of corporate operations, financial services, marketing and sales at one physical location will clearly centralize those operations for Toyota, although this centralization may not significantly improve operational efficiency. However, the relocation of the manufacturing and engineering operations is much more likely to increase the efficiency of these operations, since communication and development in these operations is more dependent upon face-to-face meetings. Moving the engineering staff closer to the manufacturing plants will also create a faster response time for correcting manufacturing problems as they’re discovered during production. This benefit will be particularly useful for helping Toyota cope with its loss of image due to a recent rash of manufacturing defects in some of its most popular cars. The consolidation is also reflective of Toyota’s general adoption of a “southern” strategy in North America, meaning the automotive manufacturer is focusing on the procurement of manufacturing plants in the southern United States. The reduction of costs is probably one of the driving factors in its southern strategy, although Toyota claims that the move isn’t a cost-cutting measure. Nevertheless, the business climate in North Texas is significantly less expensive than it is in Southern California. The physical consolidation of operations also indicates that Toyota is preparing for a comeback in the North America. However, it will take until at least 2019 to determine if this move will ultimate prove beneficial to Toyota.